Making marks: Genome-editing enzymes in zebrafish introduce mutations in a DNA ‘barcode’ that accumulate over generations. Researchers have repurposed CRISPR, the popular gene-editing tool, for tracing cell lineages in whole organisms1. The technology could reveal which brain areas develop atypically in animal models of autism and other conditions. Mapping cell lineage typically involves marking certain types of cells — say, with a dye — to track their descendants as they divide during development. Traditionally, researchers marked cells with enzymes that rearrange short pieces of DNA. Activating these enzymes in a tissue such as heart or brain triggers the production of a fluorescent protein only in those cells and their descendants. A newer technique called Brainbow tags an animal’s neurons with multiple fluorescent proteins to map brain circuits. But the limited number of fluorescent tags in these techniques restricts the number of cell types that can be mapped. To trace cell lineages in a whole organism, scientists use a method based on random mutations that can accumulate in cells and pass down through generations of cells. Detecting the mutations requires whole-genome sequencing, however, which is expensive. The new approach, described in May in Science, allows researchers to mark all cell types in an organism and to read out the full set of marks easily and quickly in a large number of cells. In the method, called GESTALT, researchers introduce a short DNA ‘barcode’ — a string of editable sequences — into the cells. They then insert the CRISPR-CAS9 enzyme into the cultured cells, which makes cuts in the barcode. When the cell repairs the DNA breaks, it creates mutations. Over many rounds of cell division, mutations accumulate within the barcode and are passed down through each generation. Because the mutations are confined to a stretch of several hundred base pairs, high-throughput DNA sequencing can rapidly detect them in hundreds of thousands of cells at once. Examining shared subsets of mutations identifies the cells that arose from the same ancestor. The researchers tested the method in fertilized eggs of zebrafish. They found that mutations increase for up to 20 cell divisions and persist into adulthood. 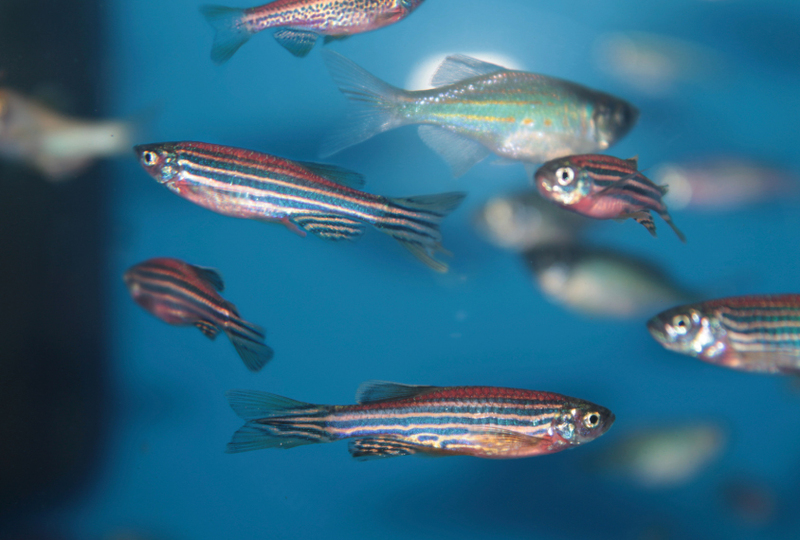 By analyzing the mutation fingerprints, they determined that most cells in the adult zebrafish come from a small number of progenitor cells. Scientists can use the approach in any organism that can be manipulated with CRISPR-CAS9 — including animal models of autism. The method can trace a descendant cell to an organ, such as the brain, but not to a specific cell type within it.